For those who demand only the finest all glass shower and glass shower doors, Liberty Glass & Mirror has cornered the market. Our frameless glass shower doors and enclosures are meticulously measured, professionally installed and enjoyed for a lifetime! Every glass shower door and glass shower enclosure is designed and custom built to reflect each client's personal taste and bathroom design. Our goal is to assist you in designing an all glass shower that will add beauty, function and value to your master bathroom. Frameless glass shower doors and enclosures are designed with premium 3/8” or 1/2” glass and minimal hardware. The glass used in eh shower adds stability to the shower structure, which eliminates the use of ugly metal framing. 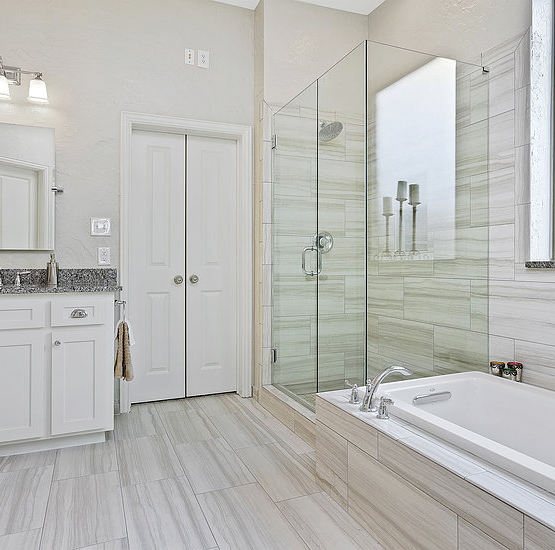 Glass Shower Doors and Frameless Shower enclosures are easy to maintain, easy to customize, and add a special touch to your bathroom remodel. Liberty Glass and Framelessshowers.com proudly installs all glass shower and shower doors in all of DFW. You will see our trucks across the metroplex install glass shower doors in Dallas, Plano, Frisco, McKinney, Allen, Colleyville and beyond.